The United States in the 1900s resembled some emerging markets today. For example, per capita income in the US at that time was about $6,000 in 2009 dollars. For comparison, per capita income in Botswana, a country in Southern Africa, is around $6,000. Additionally, in the first few decades of the twentieth century, the United States did not have a good road network or electricity. Life expectancy was approximately 47 years, about the same as that of many African countries today. Before Henry Ford built the Model T—a car regarded as the first affordable automotive—car ownership in the United States, as it is in most emerging markets today, was limited to only the rich. But in these circumstances, Henry Ford decided to build a car that the average American with modest means could aspire to buy. One would expect that Ford would have had investors lining up to invest in his automobile start-up company. But many of his initial investors were skeptical about his idea—a car for the common man—and as a result, sold their shares in his company. Henry Ford had to convince those who remained that there was a market for automobiles in America. After he secured the necessary financing, Ford designed a business model that targeted nonconsumption of cars in America. The conventional business model for automobile manufacturers was to custom make cars for wealthy individuals, requiring the use of highly skilled craftsmen. In order to drastically reduce cost, Ford developed the assembly line for his cars. Similarly, while most vehicles at the time required their owners to have special driving skills, Henry Ford built the Model T so that it could be easily driven with minimal training. Ford’s innovation was widely successful. 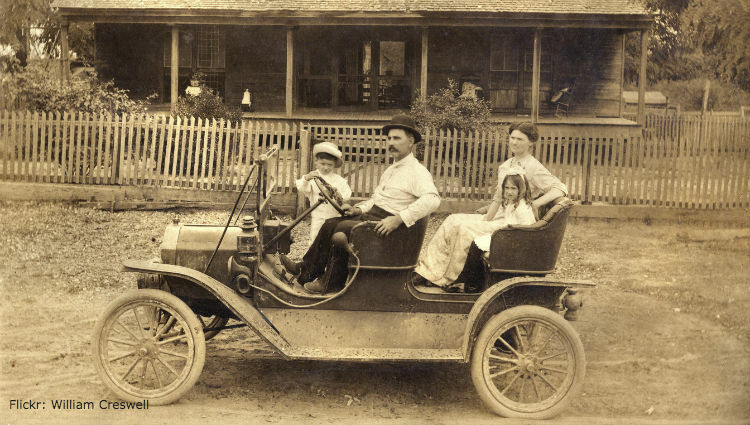 In 1908, during its first year of production, Ford sold more than 10,000 cars. By 1914, he was producing more than 300,000 cars annually. The remaining 299 auto manufacturers in the United States produced approximately 280,000 cars that same year. Until today, the Model T still ranks as one of the top ten best selling cars of all time, selling more than 15 million units. Its success is even more impressive considering that car sales during that time were in the tens of thousands per year. He created a market, not just a business, out of nonconsumption. One of the most fascinating things about creating a market is the impact it has on other parts of the economy. The Model T, for instance, spurred significant investment in American infrastructure by providing a tax base to support construction of roads. Before Ford democratized cars for the average American, the United States government had tried to develop the road network but lack of funding slowed the development. After the Ford Model T, the government was able to generate enough revenue from gasoline taxes to enable the sustainable development of roads in the United States. Additionally, the ability for people to move around more freely enabled investments in other businesses such as restaurants, farms, schools, and suburbs. Market-creating innovations that target nonconsumption can have an exponential impact on the development of a nation.